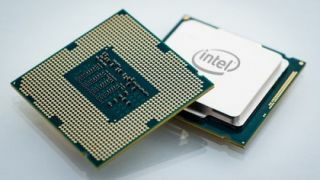 Intel is once again experiencing trouble with its next-generation, 10-nanometer processors – codenamed Cannon Lake – pushing their release back to late 2018, Digitimes reports. This is far from the first time that Intel’s Cannon Lake processors have reportedly run into setbacks, first set to release in 2017. According to Digitimes’s supply chain sources, which appear to have been accurate up to now regarding Intel's movements, this would be the third time that the Cannon Lake will have been pushed back. First, they were pushed to the end of 2017 or early next year, then to mid-2018 and now to the end of next year. Cannon Lake is expected to see considerable gains in performance (25%) and reductions in power consumption (45%), thanks to shrinking the transistor size from 14nm – where Intel’s processors are now and have been since its first Core M chips in 2014 – to 10nm. However, the firm clearly has experienced trouble fabricating the teeny transistors at a mass scale. That is, so as to reliably produce enough of the chips to then sell to its numerous device-making partners, like Dell, HP and Apple, to name a few. Since most device vendors start preparing to manufacture their next generation of products a year in advance, several said companies have likely already begun placing orders with Intel for their 2018 line of products. With that in mind, it’s likely that vendors will have to rework their plans for devices due to release in that calendar year. One in particular that’s likely to sting especially hard is the hotly anticipated 2018 MacBook Pro with 32GB of memory, or RAM. That’s because Cannon Lake is the processor generation expected to support up to 32GB of RAM natively, through the LPDDR4 standard, or without a dedicated memory controller. Since Apple isn’t expected to include such a part in its MacBook Pro anytime soon, as least by Apple Insider’s estimation, we probably won’t see a Mac laptop with such capacious RAM until sometime in 2019. That said, we have seen Intel’s mobile processors increase in core count across the board with the onset of this year’s 8th generation, Kaby Lake Refresh, which would at least enable the first-ever quad-core MacBook Pro in 2018. Still, you probably won’t get those gobs of RAM next year.